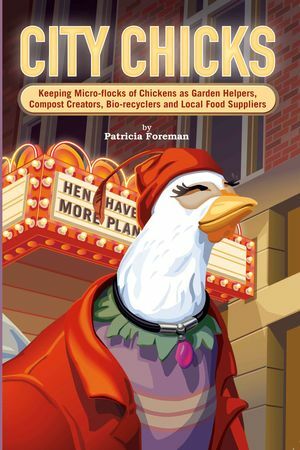 Among many excellent books about raising, caring and utilizing chickens in the urban landscape, we highly recommend the book CITY CHICKS: Keeping Micro-Flocks of Chickens as Garden Helpers, Compost Creators, Bio-recyclers and Local Food Suppliers by Patricia L. Foreman. For residents of the St. Louis Gateway region investigating the backyard chicken ordinance associated with their community, a wonderful resource can be found HERE, a service of "The Easy Chicken: backyard eggs made easy". Why freak out over a few chickens?